On the outskirts of Santiago de Compostela you'll find the Monte del Gozo. It's a part of the Camino de Santiago, the pilgrims pass through this part. 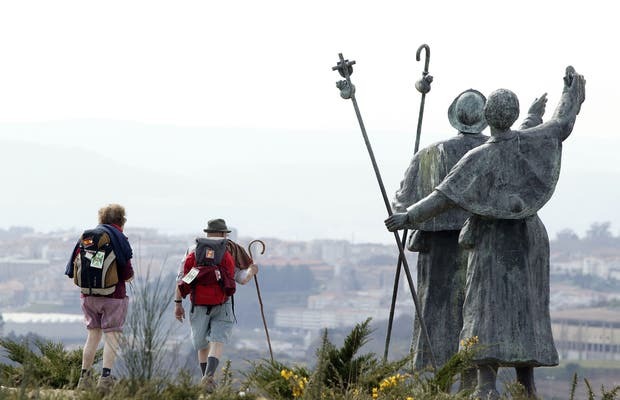 So, there are 2 statues signifying the arrival of pilgrims to Santiago. From Mount del Gozo, in the distance, you can finally see Santiago de Compostela and its cathedral.